The Days Inn is a hotel chain that was started by Cecil Day and based out of Georgia. Mr. Day, a real estate developer by trade, aimed to start a chain that delivered excellent rates and accommodations. The company operates under various brands. 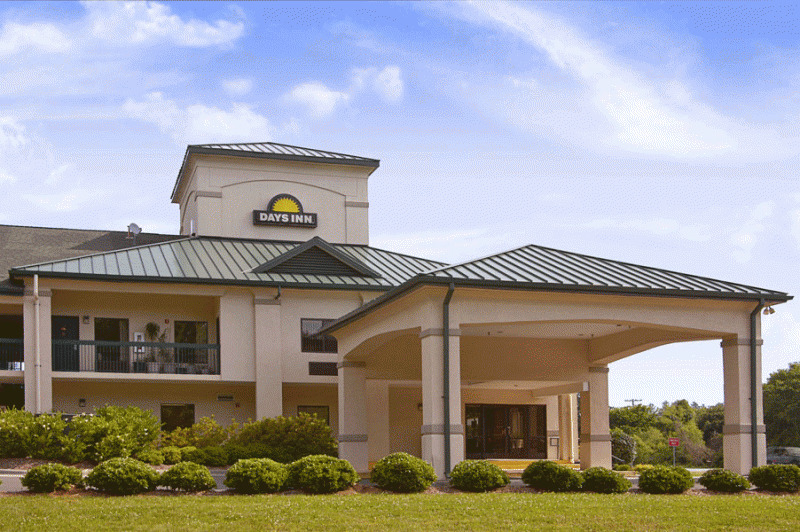 The Days Inn and Days Inn & Suites brands offer either full or limited service with some rooms mixed with suites. The Days Hotel brand is typically reserved for operation in larger cities with a lot of traffic, while Days Suites offers a variety of suites with either full or limited service. They also have a sister brand Travelodge that aims to accommodate those who love the outdoors environment. The company initially owned and operated all of the hotels bearing its name. Back in 1972 however, it started allowing franchise operations which really helped expand its footprint. It currently has approximately 1900 hotels located all over the world. The official website can be found at daysinn.com. Once you arrive on the website, you will easily see how easily you can start the booking process from the main page. All you need to do is initially fill out where exactly you wish to stay including the city, address, and zip code. Then, you'll simply need to input when you intend to check in and out, as well as how many adults and children will be staying with you. As you have already learned, Days Inn has operations all over the world. Their website features a complete list of locations sorted by country and then broken down into listings by city. If you're a frequent traveler, then it's definitely a good idea to consider signing up for the Wyndham Rewards program. Travelers will earn a certain number of points with each stay or based on the amount of money that they spend. These points aren't limited to stays at Days Inn though. They can be used at any hotel brand that's owned by Wyndham Hotel group. Not only can customers earn points by staying at hotels, but they can also earn them by using affiliated services such as car rentals. Days Inn features a deals and discounts section on its website. Consumers looking to save money should definitely check out this section. There, you can find deals on packages that include flights and car rentals, or other outings such as museum visits. The company also offers organization discounts. These special rates can be taken advantage of by seniors, employees of government agencies, or members of other groups such as AAA and AARP. If you have a travel-related website, then you may want to sign up for their affiliate program too. It doesn't cost you anything to join and you have the ability to earn a commission of 3% every time you refer someone who ends up staying somewhere. You're provided with all the tools you need to refer visitors effectively. Upon arriving at the website, you'll find the ability to start the booking process. Simply enter all of the required information in order to reserve a room. There are featured destinations that you can consider visiting, allowing you to take advantage of special deals when traveling to certain cities. If you're traveling in a group, then make sure you check out their group travel rates. There will need to be at least 10 members of your group. Days Inn also has a low-price guarantee. This means that you'll be able to find a room at the cheapest price through them. If you find the same room at a cheaper rate elsewhere, they won't hesitate to refund you the difference so you get the lowest price. Coupofy Coupons allows customers to save money when staying at the Days Inn. Simply come to the website to check out the list of updated deals and discount codes that you can use to save money. 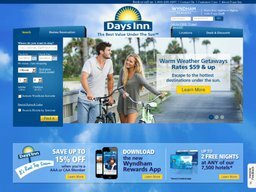 Click a link and you'll be taken right to daysinn.com where you can get savings upon checking out. If you want to make a reservation online, then you will need a credit card. At the location, you can possibly pay cash, but it all depends on the specific location's policies. Every reservation has a cancellation policy that you can view during the booking process. Your options for cancellation will depend on the specific policy you agreed to. You can contact Days Inn by using the email form on their website. They can also be reached at (800) 225-3297.